How to Spot a Social Media "Clown"
Last week, Gary Vaynerchuk was featured in a Techcrunch interview in which he explained that there is a “social media bubble” and that many people claim to be social media experts, but lack business sense. As someone who sees this on a daily basis, I couldn’t agree more. 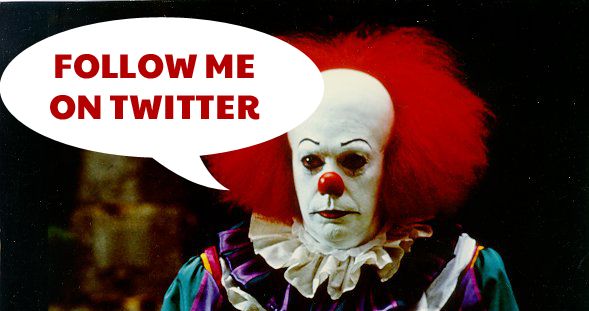 In fact, what Gary calls “social media clowns” are pretty easy to spot. Beware of anyone who calls themselves a “social media expert.” How can you be an expert at communicating? Effective social media is centered around conversing back and forth between the business and customers (on a personal level) – there is always room for improvement. Many of these so-called experts boast a track record of “building a fan base” and increasing “engagements” dramatically. First of all, the number of fans is worthless if it’s not reaching the target demographic being sought. If I own a bar and grill, and 80% of my “fans” is 14 years old, my fan count is nearly WORTHLESS. The truth is that a page with 80 people connected could be much more powerful than a page with 1,000 connections. Please stop using buzzwords like “social media optimization, engagements, and leveraging“. We all know you picked those up after reading a chapter of the latest, greatest social media book. Oh yeah, while you’re at it, stop mass following people on Twitter, I can tell that you have nothing good to say when you follow 1000 people, yet only have 60 followers. An effective social media presence revolves around blogging. If a so-called social media expert is not blogging, it should be a clue that they are missing the whole point of social media. Blogging enables businesses and individuals to be seen on search engines, which is extremely important (unless you want to spend money on advertising constantly). People want free content – start promoting your blog with social media. It’s simple.